In case you’ve got a cool $9 million lying around and love waking up to gorgeous ocean views on the regular (who doesn’t?! ), check this out! 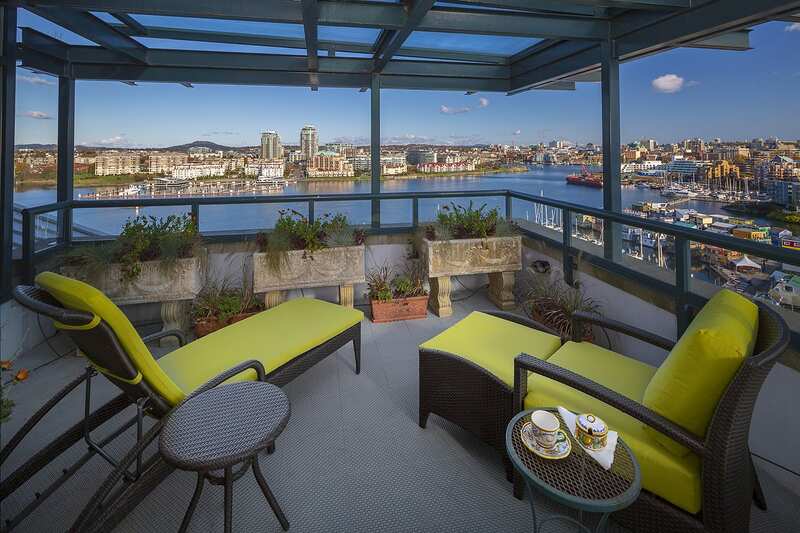 A recent survey of Canadian luxury real estate properties by Point2Homes has revealed that one Victoria residence has made its way to the list of top 10 most expensive penthouses in the country. The 1201-21 Dallas Rd property is #8 on the list, which is made up of penthouses ranging from $7 million to $30 million. Located atop Shoal Point’s tallest tower, Victoria’s most expensive penthouse is 4,810 sq ft, has 2 bedrooms, 4 bathrooms and boasts stunning harbour views through floor-to-ceiling windows. Anyone who moves in would be treated to a lavish life of arriving via private elevator entrance to an executive home with 9 fireplaces and 7 balconies. One of the most unique features of this home, however, is the private rooftop conservatory which is home to a fireplace, a fish pond, and abundant plant life and foliage.